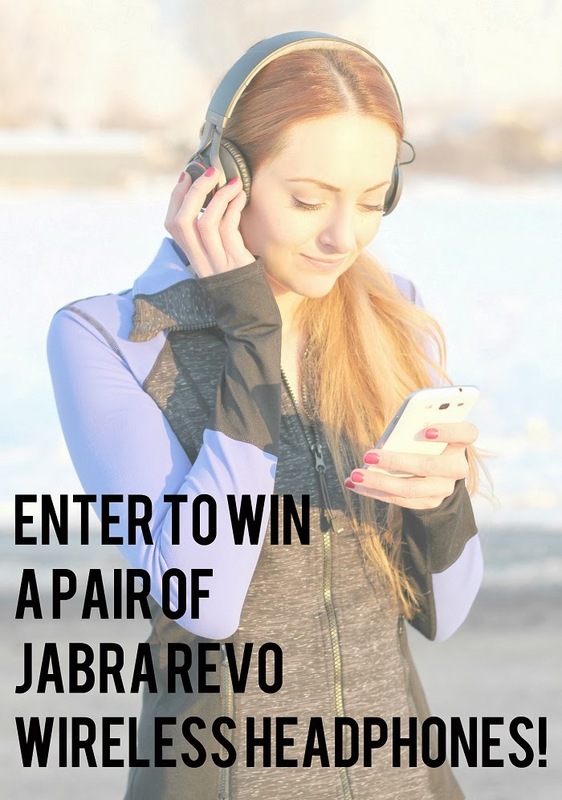 Giveaway: Win a pair of Jabra Revo Wireless Headphones!!! I’ve been on the hunt for a pair of quality wireless headphones for a while now. I was just so tired of the wires of my ear buds and I’d find myself accidentally pulling them out of my ears all the time, or having to untangle them constantly. Well guess what, there TOTALLY IS. They’re called Jabra Revo Wireless Headphones. They connect to any Bluetooth enabled device you have, for example your cell phone! In a matter of seconds I can throw them on, and they’re automatically paired to my phone and I’m on my way. They also do a fantastic job of blocking outside noise. I have been using mine for EVERYTHING! I went to California last weekend and they were a lifesaver in the airport and on the airplane. The background noise of the airplane and passengers was blocked out and I watched Vampire Diaries in my own little bubble, it was fabulous. My whole gym experience has changed. I don’t have to awkwardly maneuver my wires and make sure I’m not getting tangled in them while I’m working out. They are also packed with the coolest features! You can change the volume just by touching the right side, and by pressing the buttons on either side of your ears you can launch the Jabra app, or pause/skip/play your music. ALSO if you have them paired to a cell phone, you can talk on the phone with them. Example, you’re at the gym listening to your music, and you get a phone call. Well BOOM you answer the call, talk, “Blah blah blah yeah I’ll meet you in an hour…”, hang up, and be back to your music, all without a second thought. That kind of blows my mind. Technology, people!! Well I think I’ve thoroughly convinced you how cool these headphones are, and the COOLEST part of all of this is you can enter to win a pair for yourself!! The giveaway will end on 12/22 at 11:59PM. One lucky reader located in the U.S. will win 1 pair of Jabra Revo Wireless Headphones valued at approx. $200! All you have to do is use the widget below and it will tell you how you can enter. I would use these in the office! i would love to use these at work! To workout and to travel in [airplane and otherwise]. I would use them at home while watching tv/movies so I wouldn’t disturb my husband. I want these headphones just so I can look as babe-alicious as you do in these pics! I would use them everywhere, especially in my office. Coolest head phones ever! And I love that jacket!!! OMG wireless?! I’d style these with my athletic get-up as well! You look so chic even when you’re running! I think I totally need these! Untangling headphones is the worst!! Working out and while commuting of course, But also when my Hubby is watching one of his ball games or sporting events – so I could “enter” the music instead of having to leave the room! I would use them for when I work out and when I fly! I would use these for when I work out – it’s a pain when I am running and I manage to get tangled in my headphones wire somehow. No matter how careful I am! I’d use it when I’m exercising. I would surprise the Hubby with these as a gift- he is a long distance runner and would love these! I would use these when I’m on my treadmill. I would use them when I exercise. 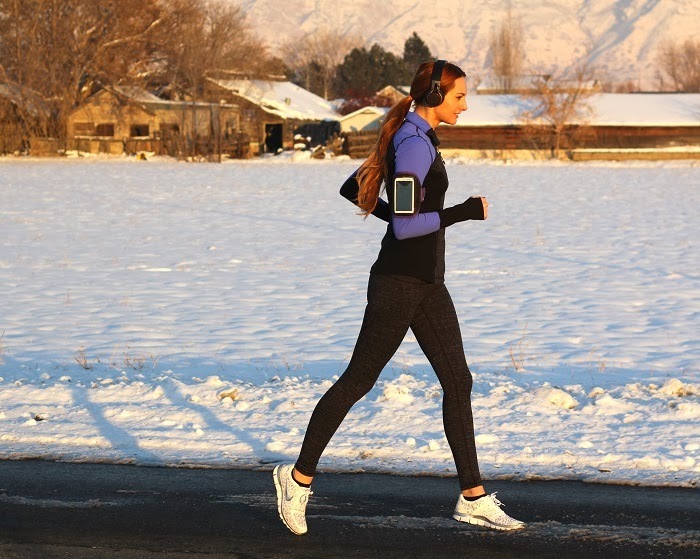 I love the idea of being able to listen to music and answer the headset with a phone call! Very convenient! use them when i go running! for my son at home. I would use them but I think my son would borrow them a lot. The would be great for working out. for working out and walking and for travel would be the ways I’d use them! Thanks for the chance, and Happy Holidays! I would use the Jabra Revo Wireless Headphones for walking the track while my kids are at swimming practice. I’d love to rock these on a run or hike! I would use them on my daily walks! I would use them while doing schoolwork! I would use them during workouts, on long drives, and while I perform chores. I would use them to clean house and workouts. Oh I would love to use them on my walks with my dog! I would love to use these for cleaning my house and working out! It would be great to be able to listen to music with no wires to get tangled or in the way! Love these! They would be great for use during workouts! I would use them everywhere! Especially around the house, I’m sure. Thanks! I would give them to my son for his workout. While on walks and cleaning the house! I’m new to running so it would be really nice to have a good pair if headphones:)! Thank you and Merry Christmas! I’m joing the YWCA and I’d love these for when I’m working out, also for when I’m walking the dog. Thanks for the giveaway and happy holidays. Joined/ Follow site via GFC as “From Furrin”. I would use these while i was on my Tread Mill! I would use them running and in the office. Oh, I’ve been needing a pair so badly! My little one broke mine and now I have to workout without music! It would be awesome to finally get some replacement! I would use them on my morning runs! I would use them when I workout. Thanks. I would use these all the time! Mostly for running. i would give these to my boyfriend! he’d be in LOVE!!! I would use them in bed. I would use them a lot of places….when out walking, in bed, on my laptop….these are awesome looking. I would give them to my grandson because he wants a pair really bad. I would use them when working out and on long trips. I would use them when I’m out walking! I would use them while I am working out. I would give them to my husband so he can use them while biking. i would use them when i travel and work out and run. love that they are wireless. I would use them when I run. did you ever announce a winner for this giveaway Little J?